The OptiBeam high Q air coil reduces the length of the elements nearly lossfree down to clearly below convenient 15 meters. complete coverage of the 300 kHz with best SWR, constant gain and stable radiation pattern. 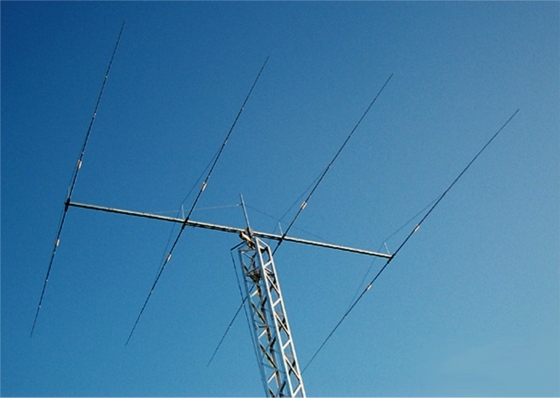 Due to the especially developed „40m decoupling stubs“ interaction is avoided to other Yagis in the frequency range of 14 to 30 MHz.